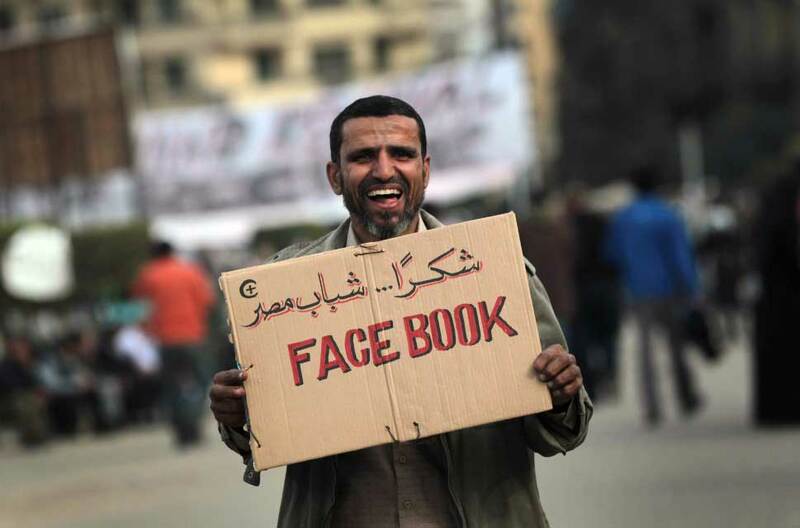 Is social media making the situation in Egypt better or worse? We’ve all seen the horrid news coming out of Egypt over the past couple of days and weeks. The events have been broadcast worldwide. Thanks to social media, they’ve also featured prominently on Facebook, Twitter, YouTube and other channels. There’s been a noticeable trend; the content being shared online is becoming more radical and biased as things have gotten worse in Egypt. There was a fascinating study by MIT, NYU and the Hebrew University of Jerusalem which suggested specific positive or negative influences create asymmetric herding effects – in plain English that means people are increasingly likely to follow the crowd online and agree with others when there’s a groundswell of opinion, especially when they share similar opinions or views. There’s a famous English saying which seems apt for social media today, “birds of a feather flock together.” What we’re seeing on social media today is groups of individuals who share the same opinions coming together as groups. There’s less debate online of differing views and more support for and promotion of each others views. The question is, how is this helping calm the situation on the ground? Are people thinking clearly when they post, share or comment? While Facebook was praised for its role in the 2011 revolution, my own views are that social media is now a key channel for fanning the flames of sectarian division in the country. I’d hope people think more before they use social media to openly share their feelings on such emotional issues. It’s gotten to a point now where my timelines are split between the various groups who are constantly posting materials which reflect their own opinions. In contrast there’s little effort by either side to reach out to others. The social media world is just as polarized as opinions on the ground (maybe even more so). I’m hiding videos and pictures because I don’t want to see such open hatred on my timelines. I sympathize with people’s views and I understand the passion on both sides. Hundreds have died and the country is in a state of emergency. On both sides, Egypt’s citizens want what they think is best for their country. But, for the sake of events on the ground, let’s pause before emotions kick in. We need more calm heads rather than hot heads, especially online and on social media. This entry was posted in Uncategorized and tagged Egypt, facebook, sectarianism, social media, twitter, youtube by alexofarabia. Bookmark the permalink. 100%. Fully agree with these sentiments, and feel the same. It’s a shame that the role of the media, and of networking, only seems to spread more misunderstanding and misinformation with each group or affiliations sense of justice and oppression. History repeats itself in the ugliest of ways. Great post!